CBD oils are not that uncommonly known as before, and a lot of research has been done on their uses and advantages. There are lots of interesting and scientific facts of CBD oils that majority of the people do not know about. CBD Oil is a cannabinoid that is found in the Hemp plant. Contrary to some other components of Cannabis, CBD oil has no psychoactive effects. This means that these oils are useful in many of the medical fields. The oil has various uses treating and managing health conditions like epilepsy, cancer, and arthritis. You can consume CBD oils orally through raw foodstuffs or baked goods, or you can use these oils for massage therapy. Here are a few little-known facts about CBD Oils that you should know. 10% of a country’s population is affected by diabetes that does not have any known cure so far. It is said that CBD can be helpful in preventing Diabetes. CBD can weaken the production IL-12 by splenocytes which is an important function in the prevention of many diseases. It is not confirmed whether it has any effects on the absorption of glucose, or the way food is processed in our body, but its ability to weaken splenocytes is noteworthy and being studied by researchers. If the human trials are successful, certain strands of CBD oils may be used against diabetes. Researchers now suggest that medical cannabis can be helpful in fighting neurological issues, including epilepsy, PTSD, migraines and memory problems. Using oil with 22% CBD can bring about a major improvement in all the symptoms relating to the brain. CBD oils can be really effective against Prion’s disease. Neurodegenerative diseases are caused by the release of Prions in a body. This disease is something that is present in both animals and humans. There are few symptoms that are commonly found throughout the spectrum of Prions. This is where CBD comes in. These oils are effective in handling the related symptoms. As a natural product, it has little chances of reacting adversely with the user. A lot of the patients who are suffering from Prion’s disease are recommended CBD. Of course you, just to be on the safe side, you can consult your doctor before taking any form of CBD oils. Almost everyone suffers from lack of sleep and insomnia, and it is something that is not easily curable either. The lack of sleep can be caused by our ever-changing lifestyle and career choices involving long working hours and increased anxiety. Our sleep patterns are also affected by our diets such as the excessive consumption of processed foods, sugars and caffeine. The lack of sleep further affects our attention span, productivity, and concentration and that in turn hinders our day’s productivity. CBD oils are known to promote sleep and reduce stress. For a healthy lifestyle, proper rest is necessary, and lack of adequate sleep leads people to intake heavy medication that does not help and instead makes us addicted to them. We can also build resistance to medicines over time and then there are the obvious side effects. CBD oils, on the other hand, are not psychoactive and promote calmness which can help us correct our sleep schedules. Crohn’s disease negatively affects our gut and its function. However, CBD interacts with THC in a positive way. THC has psychoactive effects because of the way it reacts with the endocannabinoid system. CBD acts as a kind of remedy for all the effects as it helps to mitigate them. CBD oil acts as a stimulant and increases our appetite, making the process of metabolism more efficient. There are many studies relating to CBD oil that show its benefits in managing the eating disorders. CBD Oil helps boost our appetite and reduces nausea that is related to a lot of eating disorders. People who are going through aggressive treatment regimens may also find these oils to be helpful. It also decreases any inflammation present in that region. Besides the many uses for CBD, it is known to have an effect on Schizophrenia, Acne, and much range of skin related conditions. 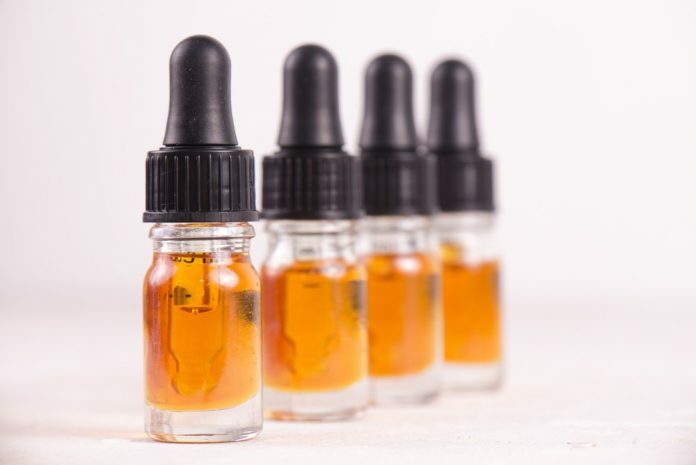 While there are many studies that support the benefits of CBD oils that have been mentioned above, it is always recommended that you consult your doctor before any self-medication and taking these oils without any consultation is not advised. Joseph Martin regularly shares advice on the physical health. In particular, natural remedies and therapies for aches, anxiety and every day induced stress. You can find more about him on Mellow By Design.